On 12/25/2017 at approximately 12:05am, the St. James Parish Sheriff’s Office Dispatch received a call regarding a disturbance on the levee near LA 44 and David Street in Gramercy, LA. The Gramercy Police Department was dispatched to the scene. Responding officers discovered that a fight had taken place on the levee that resulted in two individuals who went to St. Elizabeth Hospital to be treated for injuries. One of the victims received severe injuries to his face and head. On 12/27/2017, the St. James Parish Sheriff’s Office joined in the investigation of the incident with the Gramercy Police Department. The investigation so far has resulted in the arrest of one individual, Jordan Hitt (DOB 05/29/1996, Gramercy, LA). Jordan Hitt was arrested on 12/28/2017 and has been charged with Louisiana Revised Statue 14:34.7 Aggravated 2nd Degree Battery. Detectives are continuing their investigation of the incident, and are encouraging anyone who may have information to contact 225-562-2200. 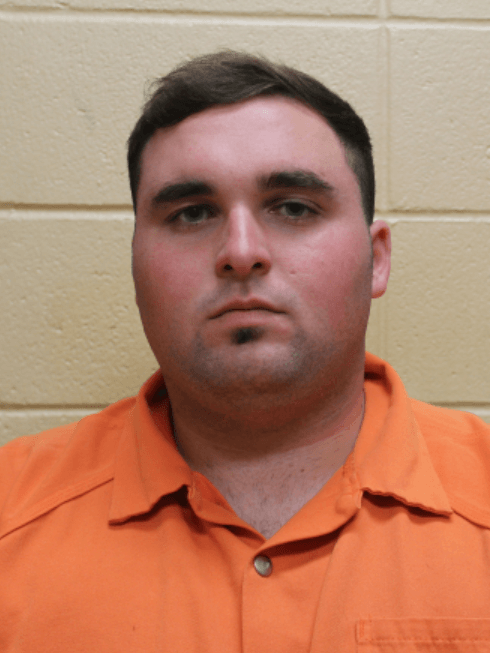 Jordan Hitt is currently incarcerated at the St. James Parish Jail in Convent awaiting the setting of bond.